What is growth hacking with Vin Clancy? Today’s guest is one of the most infamous marketers in the world, known for his cutting-edge growth hacks and genius business ideas. He has been featured in publications like Fortune, Buzzfeed, The Daily Telegraph, The New Statesman, Wired, Vice, Inc. and many more. What are the best growth hacks of 2018? How can an entrepreneur make money with growth hacking? How would an entrepreneur use your new book to make money? 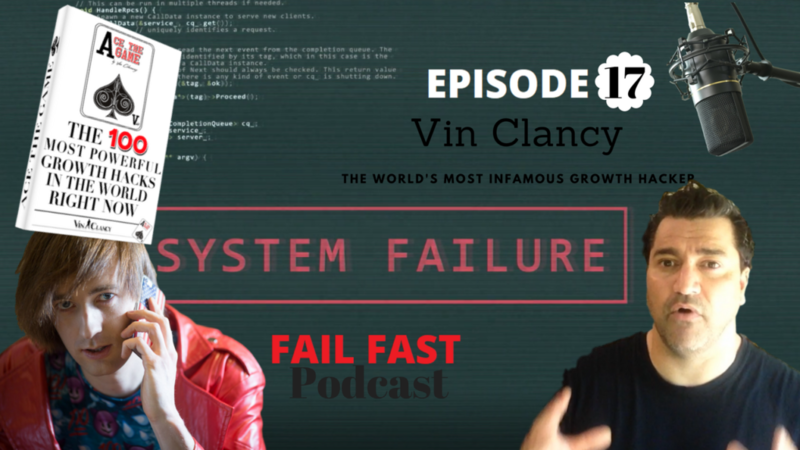 What growth hacks have you used in the past Vin Clancy? Vin is on a mission to speak truth to the many lies some internet marketers tell. He’s ready to debunk myths and share growth hacks for any industry related to your audience. Growth hacking’s “enfant terrible”, Vin Clancy is one of the most infamous marketers in the world, known for his cutting-edge growth hacks and genius business ideas. He founded the online magazines Planetivy.com & screenrobot.com, which received nearly 20 million page views with zero marketing spend in their first two years, while content he has overseen for other clients has received over 150 million page views so far. His current online magazine is a Facebook group, “Traffic and Copy”, which has over 10,000 members, close to 90% active engagement, and contributions from thousands of entrepreneurs. It’s going to be the most important marketing and business book of 2018.